Solicitor and Head of Conveyancing Department Rosemary Farman has been promoted to partner at Clapham & Collinge Solicitors. 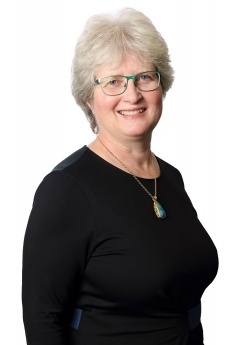 Rosemary worked in both private practice and local government before joining the firm's conveyancing team in 2010. She has extensive experience of both residential and commercial property and deals with a broad range of conveyancing including commonhold properties and compulsory purchase work. Mark Kermez, Managing Partner said "We are delighted that Rosemary has joined the partnership, we are always proud to recognise the hard work and dedication of our staff and the promotion to partner is a great achievement. Our Residential team has seen significant growth over the last 12 months, now made up of 14 team members, which has been achieved by building strong relationships with our clients. With Rosemary taking on this new role as a key part of our firm we look forward to another successful year for the team". Rosemary said "I am extremely pleased and proud to have joined the partnership and appreciate the recognition that it has given to my hard working and able team members. I am also hoping that this year will be another successful one and that the team continues to develop accordingly"
The firm's conveyancers have gained a reputation for providing first class legal services in Norfolk and they're accredited members of the Law Society Conveyancing Quality Scheme - a recognised quality standard for residential conveyancing practices. As the firm continually expands its workforce, Clapham & Collinge now has 8 Partners and over 80 staff across the offices in Norwich, North Walsham and Sheringham. To find out more about the legal services we offer, or to book an appointment please call 01603 693500 or email us using the 'Make an enquiry' form.